What happens when someone violates your trust? What should you do? What can you do? What works? Has your trust ever been violated? Did someone, once upon a time, abuse your trust? Have you ever placed your trust in someone or something, only to discover – painfully – that your trust had been misplaced? Yes, almost certainly, you’ve had experiences like that. And they are unsettling – to say the least. The bottom drops out of something. You feel betrayed. Having been fooled, you feel foolish. You’re left with a pain, a void, a bitterness – and a resolve to do something differently going forward. It turns out there are two strategies for dealing with broken trust. And one of them is far worse than the other. Let’s remember what’s going on when trust is broken. Trust is an asynchronous bilateral relationship. That’s a fancy way of saying that trust consists of a trustor and a trustee. What defines the trustor is the willingness to be vulnerable by taking a risk. What defines the trustee is the response to that vulnerability and that risk. 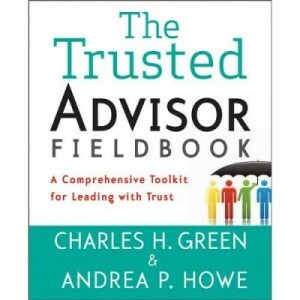 If the trustee chooses to take advantage of the trustor’s vulnerability by seizing on the risk and turning it to his advantage, then trust is broken, or stalled. If the trustee not only does not take advantage, but also then responds in a similarly vulnerable way (i.e. 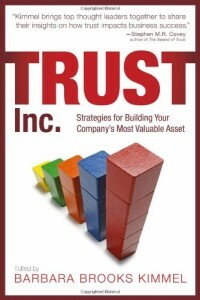 adopting the role of trustor), then the trust relationship is established, or advanced. Trust relationships are built by continuous iterations of this risk-taken, risk-respected reciprocal behavior. And trust is broken, or stalled, when one party fails to reciprocate. Setting up the dynamics of broken trust this way is important, because it allows us to see two ways that trust fails. One is that the trustee abuses the vulnerability of the trustor. The other is that the trustor stops taking risks. What do we call those who abuse our trust? Vile, conniving, two-timing hustlers. Lying, two-faced, deceiving charlatans. Con artists, heartbreakers, depraved and immoral cowards. Essentially, we characterize them as lacking in character or virtue. 2. Take fewer risks in general. It’s one thing say, “Never trust Joe again to make the restaurant reservations.” But as humans, we generalize. “Once burned, shame on you; twice burned, shame on me.” Ergo, don’t trust Joe to do anything. We’ve gone from identifying untrustworthy agents to a wholesale reduction in risk-taking. To prevent bad things from happening, we’ve cut down on the possibility of good things happening. While blaming others for being bad trustees, we cut back on our role as trustors. In the name of increasing the probability of trust (by screening the untrustworthy), we guarantee the reduction of trust (by refusing to play the trustor role). In fact, this all-too-human response is all-too-common. Ebola? Close the Mexican border. Significant other cheated on you? “I don’t know if I can ever trust again.” Somebody sued you? Demand an indemnification clause in all future supplier contracts. At a national level, this is why the TSA is what it is: far better we distrust everyone than try to identify the untrustworthy. At a personal level, this is why Twitter and country music are full of ‘done me wrong’ themes – and why they are so popular. Yes, Virginia, there really is evil in the world, and just because you’re paranoid doesn’t mean they’re not out to get you. But it’s also true that we systematically over-estimate the level of danger, and over-react by taking fewer risks. So here’s the three part solution. 1. Soberly Assess the Risk. So she broke up with you. Get. Over. It. So your pride was hurt; how much is that in dollars and cents? So a customer burned you; what will it cost to bring in the SWAT team to deal with a mosquito? Pain is inevitable – suffering is optional. Tough cases make bad law. The perfect is the enemy of the good. If it didn’t break your bones, or break your bank account – then really, how much harm was done? And we almost always over-estimate the damage. It takes thoughtful maturity to not over-react. But trust is a thoughtful, mature relationship; if that were not so, every Neanderthal would be doing it. 2. Name It and Claim It, Then Trust Again. Don’t boil in the juices of your own resentment – explain to the other party what it felt like, and offer them another shot. Remember, the fastest way to make someone trustworthy is to trust them. The highest customer satisfaction ratings come from customer dissatisfaction turned around. The winning strategies in game theory consist of giving people two chances, not one. Trustworthiness is not solely a static quality, a matter of virtue alone. It is also situational, the result of interactions with a trustor. If you withdraw from the trustor side of the game, you guarantee lower levels of trustworthiness on the other side of the relationship. (This alone explains much of the dysfunction in the financial services sector). 3. Be Proportional in Your Response. Of course there are bad apples, Bernie Madoffs, and chronic hustlers. But don’t stop dating because of one bad date. Don’t enact protectionist tariff policies to halt one abuse. Don’t put all your employees through lie detector tests because one stole from you. The tendency to overreact is natural; but the ability to fine-tune our initial instincts is what makes us human. It doesn’t take much in the way of brains or moral courage to shut the barn door after the animals have escaped; it takes both to intelligently assess the situation, and to think it through. It’s tempting to view this as just a personal issue, but it’s one of the major trust issues facing corporations. In most Fortune 100 companies, the implicit belief is that the only good risk is a dead risk. When you hear “risk,” you immediately hear “risk mitigation” and “risk management.” Risk departments are given enormous veto power, and virtually no one challenges corporate lawyers when they pronounce why the company can’t do this or that. This inability to see risk-taking as the critical, essential role in trust creation is a major reason we don’t trust companies. It belongs right up there with the selfish, zero-sum, Hobbesian, shareholder-value-driven model of the company. If you hear a manager (I’m talking to you, condo association board members) say, “If we did it for you, we’d have to do it for everyone,” you’re talking to someone who not only doesn’t understand trust, they don’t understand management. If a company doesn’t trust you and me, then we all have very good reason to say, in return – why the hell should we trust you?